The fourth quarter is usually the off-peak season for the LED market. Industry players including Lextar and Macroblock have reported lukewarm business performance in November and are expecting growth in 2019 with the booming Mini LED market. 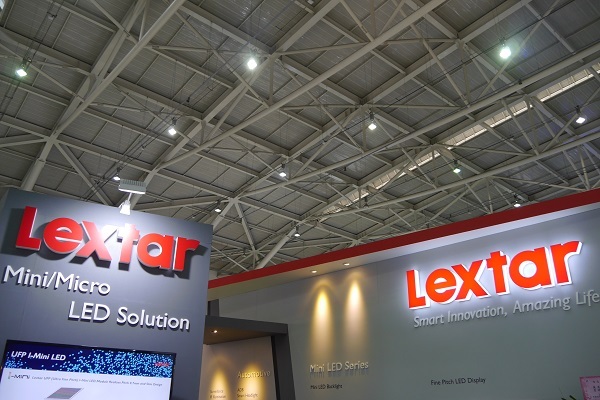 Lextar posted its monthly revenue of NT$ 823 million (US$ 26.67 million) for November with a decrease of 6.5% MoM and 7.8% YoY. The company has continued its product shipments including Mini LED backlights, Mini LED RGB modules, fine-pitch displays and VCSEL packages. Meanwhile, it also focuses on further technology development and new applications for the above products. According to Lextar, it has shipped VCSEL packages to a smartphone producer since the third quarter of 2018. Its VCSEL products can be applied in 3D sensing and AR/VR applications. To welcome the emerging Mini LED market, Macroblock has prepared 16-channel and 48-channel LED driver ICs for fine pitch display and Mini LED products. Macroblock has worked with a Chinese brand for developing Mini LED driver for mobile phones. The product has been verified by the client.